Hey guys! 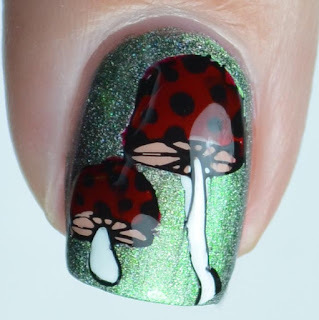 As promised, I am back with even more nail art from those new Born Pretty Store stamping plates. Today's post is going to work with the same Born Pretty Store Forest Animal Plate (item 37411) that you saw back in the Hedgehog & Owl post last week. 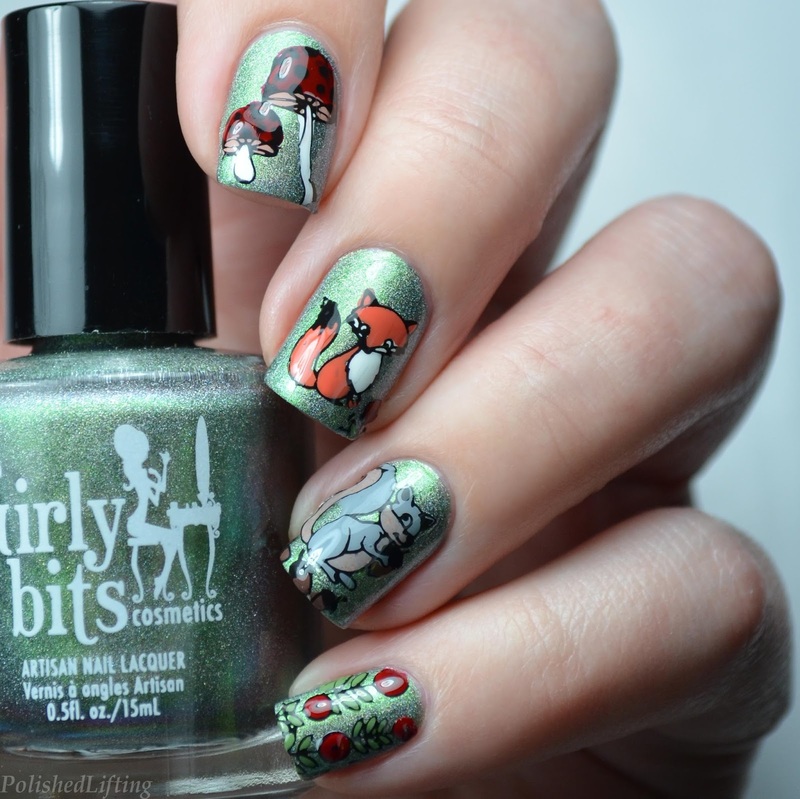 I wanted this to be a little more whimsical, so I picked Girly Bits Cosmetics Lack of Pies as a base color. 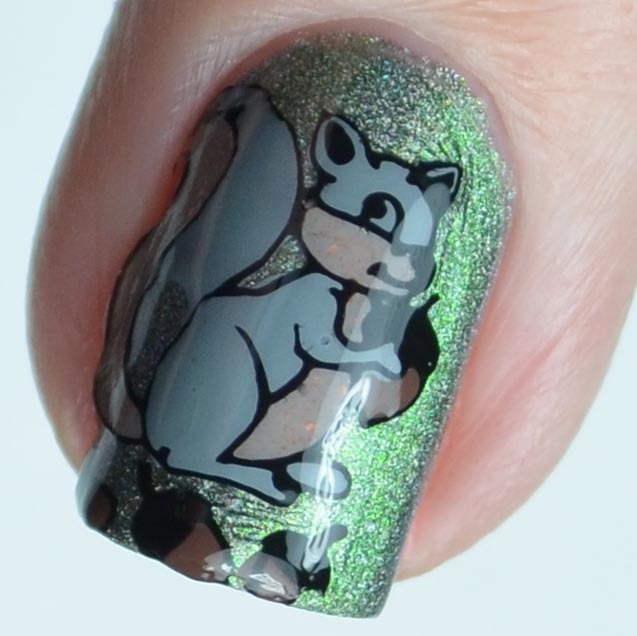 I can't get over this squirrel's sparkly belly and cheeks. 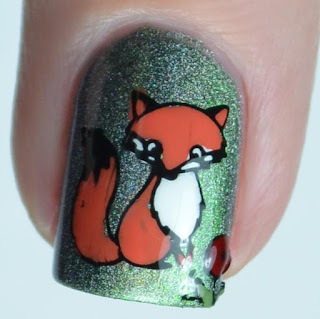 That coloring was done with Rica Polish Atreyu. I totally had to shoot this in a lower light setting to show off that holo flare in Girly Bits Cosmetics Lack of Pies. If you don't already own this shade you seriously need it. 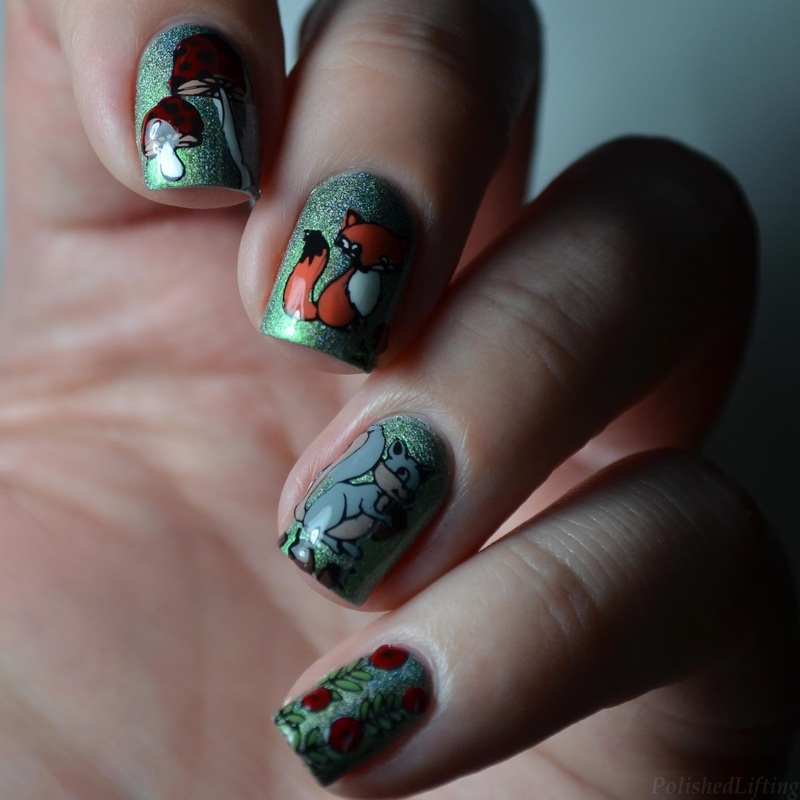 I freaking adore this woodland creatures plate. 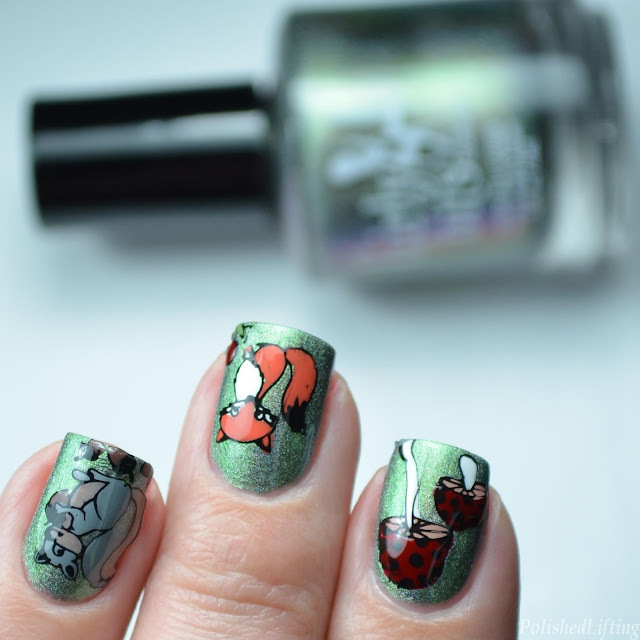 I'm pretty sure I will be doing at least one Easter/spring themed mani using those images. Use CBLW10 to receive 10% off any regularly priced items in the Born Pretty Store. Purchases do not give me any kind of financial incentive. Born Pretty will offer my readers a giveaway if the code is used enough times. If you enjoyed this post you might like Rainbow Cats featuring Lou It Yourself and Born Pretty Floral Design featuring Native War Paints.